Here at St Joseph's we are committed to working in partnership with a variety of organisations and schools in a bid to enrich our local community. Our children at St Joseph's were instrumental in helping to persuade councillors that Gregson Lane should have its own community Christmas tree. To celebrate the achievement the community will be coming together on Saturday, December 22nd to gather round the tree and sing carols and festive songs. The sing-a-long will start after those gathered wave the Santa sleigh off on its journey round the local neighbourhood to collect donations for the food bank. All are welcome to attend what organisers hope will become an annual event in the village. At St Joseph's we are also supporting the food bank appeal. 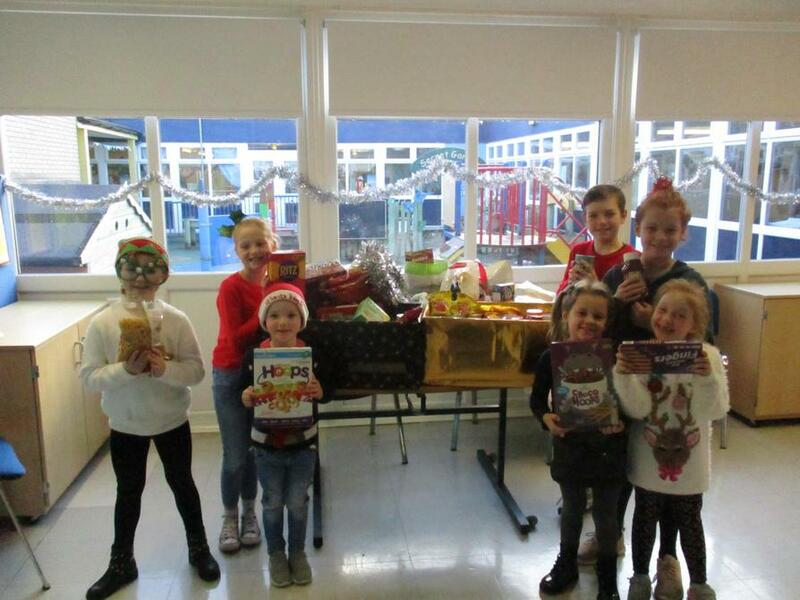 On December 7th the children have been asked to bring in donations for the food hamper in exchange for wearing their own clothes. 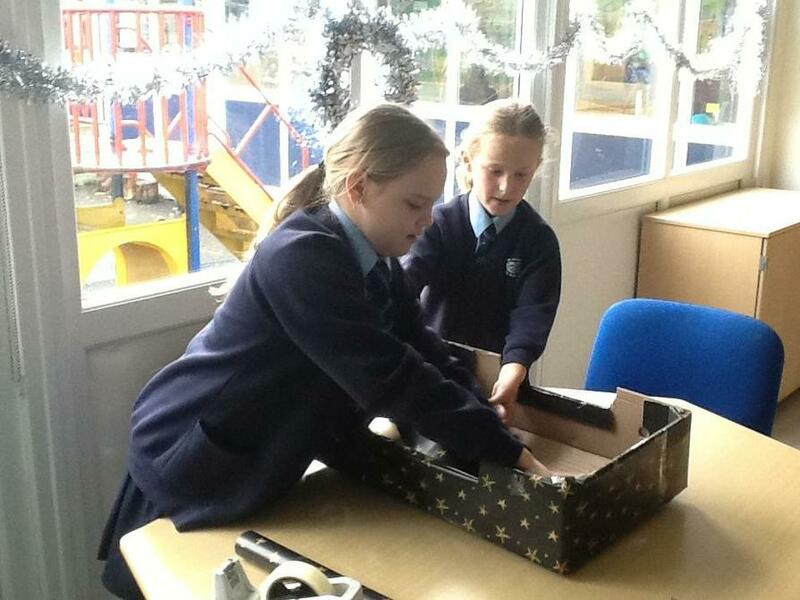 Members of the school council have decorated a hamper in preparation for the donations. The box will remain the school entrance until the end of term for anyone who would like to add a tin or two. 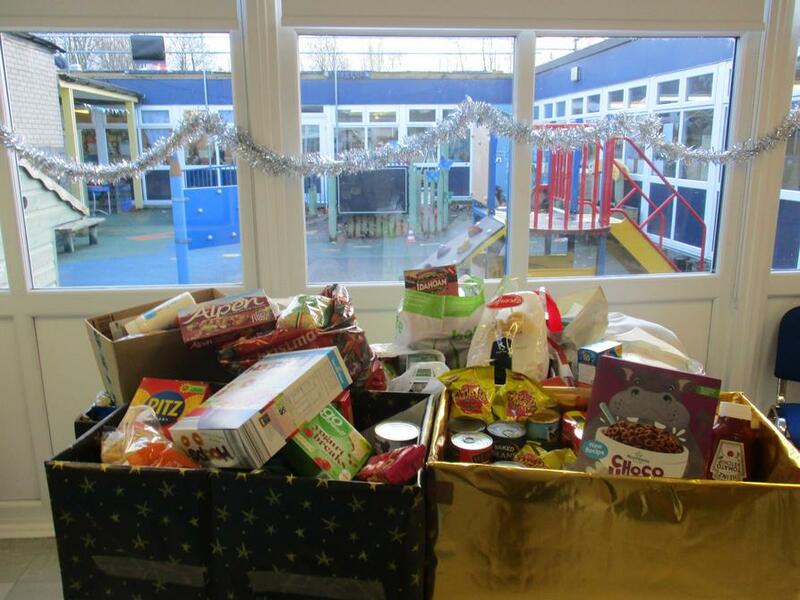 Amazing collection of items for local food banks!